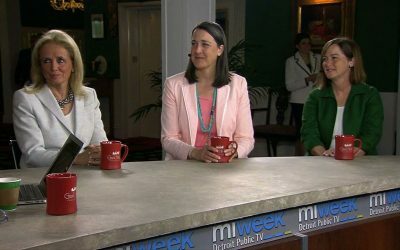 Christy McDonald, Stephen Henderson and Nolan Finley from the MiWeek team interview leaders from the Mackinac Policy Conference 2018. 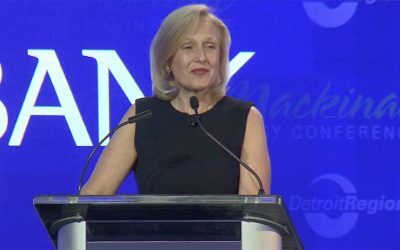 Detroit Public TV and the Detroit Regional Chamber partner to provide Michigan citizens access to the Mackinac Policy Conference May 30 – June 1, 2018. Coverage featured top-level speakers and insightful panels with statewide business, government and community leaders on-site. 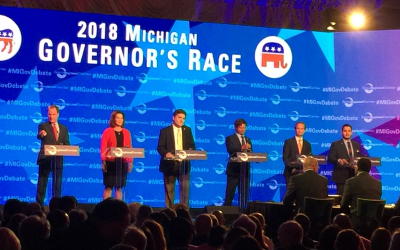 Three leaders in the state legislature spoke with Stephen Henderson on his WDET radio show during the Mackinac Policy Conference. In this excerpt, they talk about pending legislation that will protect abuse survivors in light of the Larry Nassar MSU case and a bill that would force Michigan Medicaid recipients to work. And Nolan Finley caught up with Detroit News pollster Richard Czuba at the Mackinac Policy Conference.